Your private community is a great platform to network and connect with your peers. 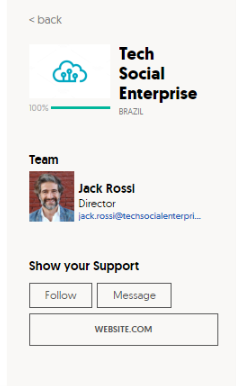 You can send them a direct message by going to their personal or organization profile and clicking on "Message" on the left of the page. Please note that messaging can be disabled in your privacy preferences.